Building a wheel isn't very hard. It's kind of relaxing in a way. Takes a bit of patience. 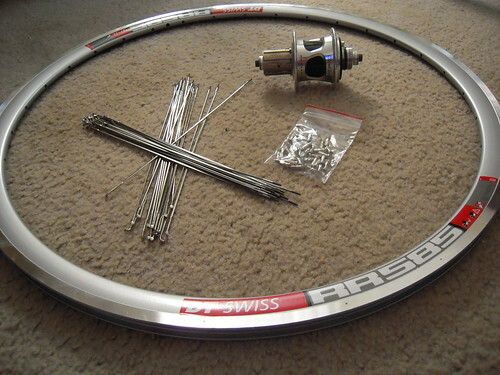 But as long as you tighten spokes in small increments, it's not as frustrating as you might believe. 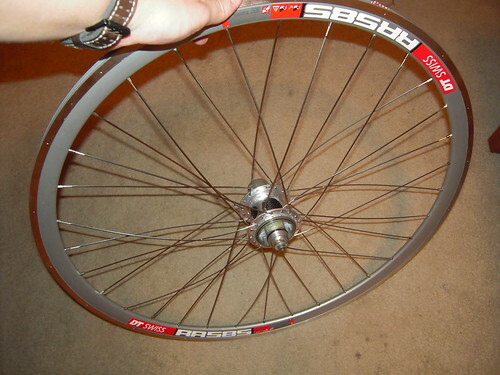 I tried to build a wheel from scratch once when I was a kid. (After taking a perfectly good wheel apart). That didn't turn out too well. But I had no idea what I was doing, nor did I have even a proper spoke wrench. That's about all you need. You can do this without even a truing stand. I thought about adding some recommendations. But I've only got one. 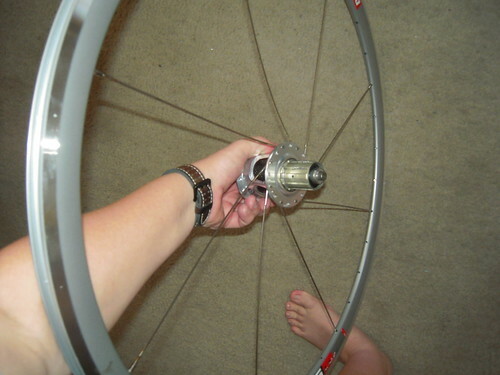 Read this page http://www.sheldonbrown.com/wheelbuild.html It's everything you need to know about building a wheel. All of the advise and recommendations I concur with. Some rim tape, tire and tube and I'm ready to go!